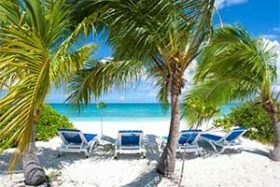 Ocean Beach Vacation Rentals – one and two bedroom beachfront accommodation on the private beaches of North Caicos, the island of exploration and adventure. Two luxurious waterfront villas on Chalk Sound, Providenciales offering accommodation for 2-18 persons. Weekly or monthly rates starting at $1300/wk for 2-bedrooms.